When we won the account sales were down, the brand had no personality and the market was becoming crowded with ’Greek Style’ products, many with bigger TV budgets. 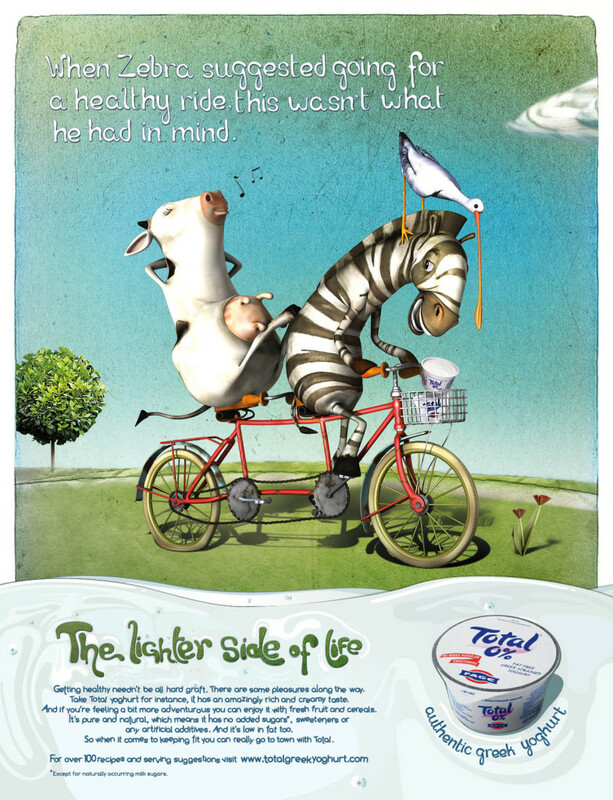 With no identity, Total needed to stand out, engage consumers emotionally and stand for something. 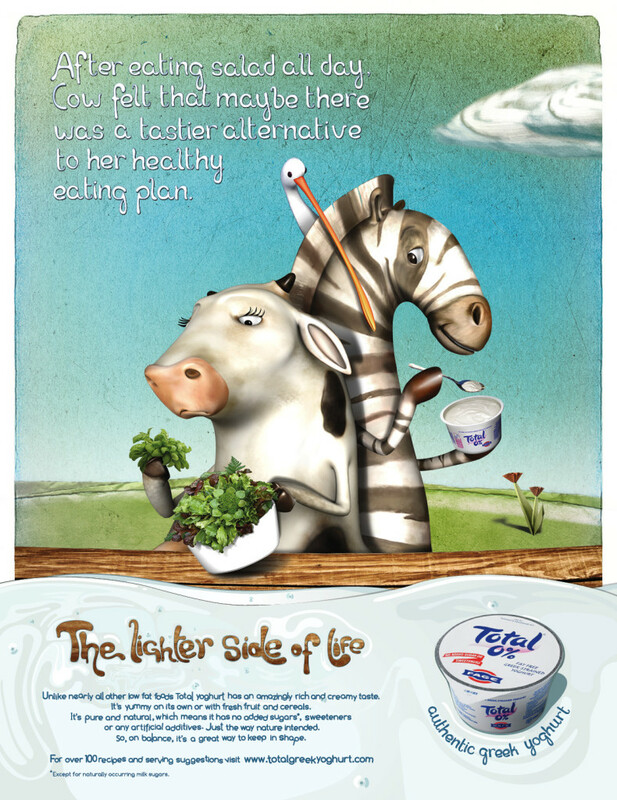 We conducted research through Spring Research and developed a series of characters – Zebra, Cow and Spoonbill to act as brand ambassadors. 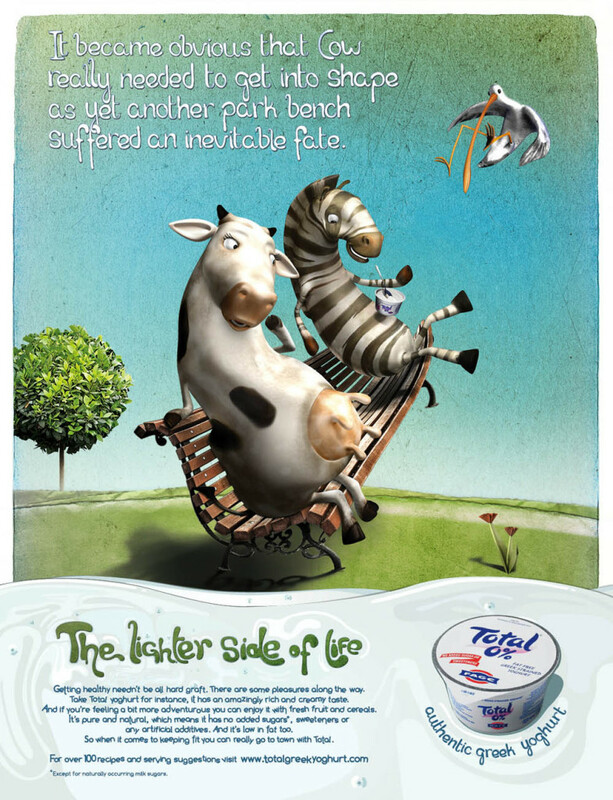 This allowed us to create a series of entertaining TV commercials that delivered the ‘Lighter side of life’ strategy. This instantly made the brand warmer and engaged families more effectively. Awareness rose. Sales rose by 62%. The client was getting 3.5:1 ROI on media spend. Trade confidence increased and the client gained new listings. The campaign was so successful it was entered into the IPA Effectiveness Awards. We worked across all media and mediums, orchestrating everything, from strategy to execution. 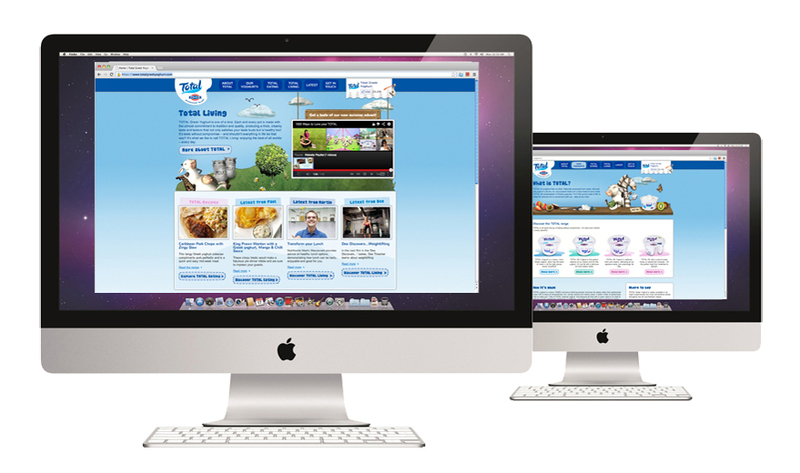 The bulk of the annual budget (over £1m) was spent on TV (five adverts over 3 years) supported by press, posters, roadshows, PR, digital advertising, recipe videos, vouchers, social media and the website. Media planning was by Total Media.